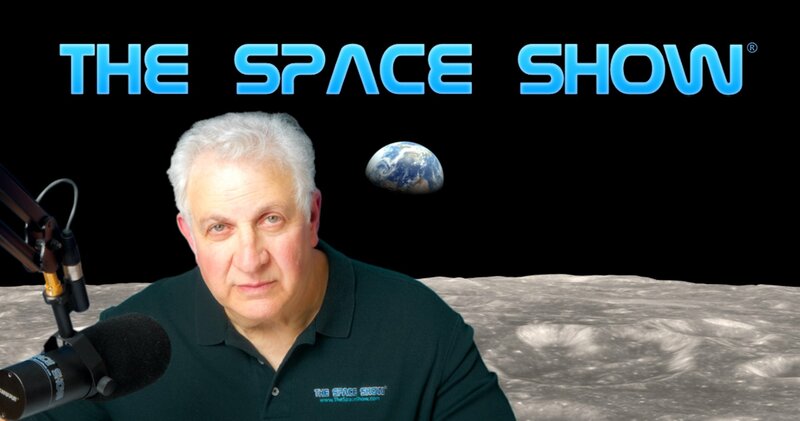 Guests: Dr. Beth O'Leary and Lisa Westwood; Topics: Preserving space historical sites in space, on the Moon, on Earth and throughout the solar system. Our guests discussed their new book on the subject, "The Final Mission: Preserving NASA's Apollo Sites," Please check out the website for Lisa Westwood at http://lisawestwood.com. You can find out more about Dr. O'Leary at https://anthropology.nmsu.edu/anthropology-faculty/oleary. Please note that Milford Wayne Donaldson was an additional co-author of this excellent book. You can find out more about Mr. Donaldson at https://californiapreservation.org/donaldson as he is a Preservation Architect and Chairman the of the .Advisory Council on Historic Preservation (ACHP). His company is Heritage Architecture and Planning (see http://heritagearchitecture.com/hap_home.html). We welcomed back Beth to the show and Lisa as a first time guest. Bet started us off with our one segment 73 minute discussion by providing us with a working for both space archaeology and heritage. This was a comprehensive discussion including the preservation of space archaeology items right here on Earth. Both our guests talked about the legal challenges in preserving space heritage, treaty constraints, enforcement issues, voluntary compliance, NASA Apollo site guidelines, plus we did quite the discussion on the need to preserve space hardware and infrastructure right here on Earth. As you will hear, often the space hardware is on a military or other government site or owned by the government and funding has not been nor is it now available for proper maintenance. I talked about my experiences seeing such important hardware at White Sands, Marshall Spaceflight Center and other locations on to see the need for much deferred maintenance. We talked about how private museums and preservation efforts are funded and talked about the difficulty in having similar funding programs for the government owned space hardware and infrastructure. Don't miss the discussion with out guests regarding what was involved in preserving the space shuttles. One would think that was a no brainer. Not so. Both our guests did a superb job in explaining the preservation process, how items get on local, state, national and international preservation lists and what it means to have a site or something special listed on say the National Registry or the National Historic Landmarks or even listed by the World Heritage Convention. Another example used to illustrate what Lisa and Beth were talking about was the site of the first Moon landing, Tranquility Base. Don't miss this discussion. We spent time going over each of the registration possibilities, timelines for having sites listed, how to do it, plus costs. Our guests singled out Apollo sites being listed on both the New Mexico Registry and the California Historical Registry. In addition, our guests pointed out the large quantity of Apollo historical sites throughout the country and even in some foreign countries and just how costly and challenging it has been to identify and preserve such sites. A listener brought up the fact that not everything worthy of being saved could be saved. Our guests agreed with this and said what was needed was excellent documentation to not forget the sites and the role plus contribution these sites made to our cultural history. Such lists, itemizations, and categories for items that cannot be saved but need documentation is ongoing and challenging as there are lots of these sites scattered around the country and the world. Another listener asked about the interest in preservation by other space countries. Our guests had much to say about China and their landing sites, Russia (Soviet Union sites) plus the other space countries doing missions to the Moon, Mars, and in orbit. It seems like there is international cooperation. Don't miss what our guests said about China purposely avoiding Apollo landing sites. BJohn sent in a note wondering how far back space history dated. Beth and Lisa suggested Goddard's work as the customary starting point. We then took a call from Richard Easton regarding Vanguard which is still in space and is the oldest piece of space hardware in space. We understand it is in a very stable orbit and will remain in space for a very long time. Richard talked about Vanguard and the work his Dad did on the project, our guests compared it to Sputnik, and even how Khrushchev once referred to it as a grapefruit or possibly a big orange! Don't miss Richard's call and the Vanguard discussion. Toward the end our guest mentioned the preservation of Neil Armstrong's spacesuit and how that happened to come about. Then a Tucson listener asked our guests if either or both had talked with Mr. Musk or Mr. Bezos are preservation regarding their respective space plans. The answer was that such conversations had not yet taken place but that they would like to have these conversation with both of them. As the program was ending, we talked about the timeline and goals for progress for the next five years and ten years. Lisa and Beth talked about their co-author, Wayne Donaldson and offered some more specific about their book which is far more detailed and comprehensive on the subject than our discussion. The book has lots of very good photos and illustrations of preservation quality hardware and space related items. These photos and illustrations alone make this book very valuable but as you will see from reading it, this is a must have book which is addressing a very important subject. Please post your comments/questions on our blog for this program. You can reach our guests through me or their websites. In addition, each provided their email addresses toward the end of the program.